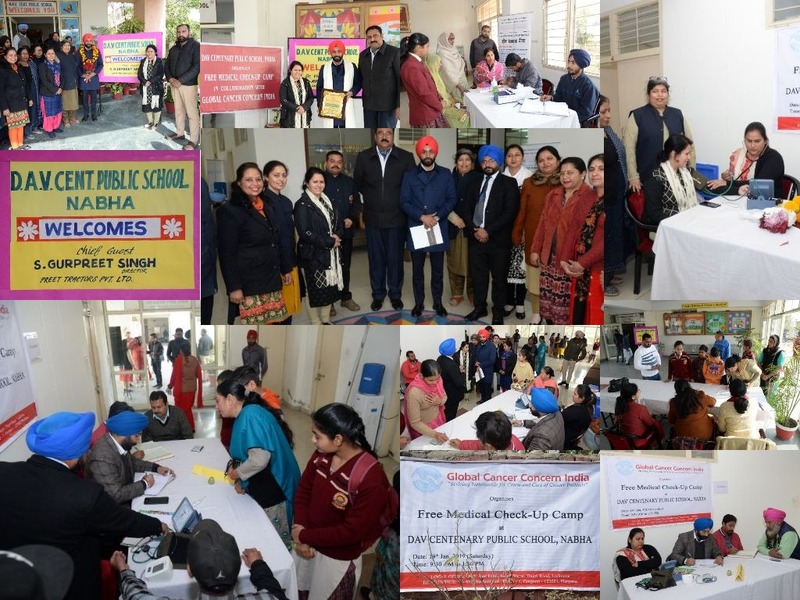 DAV Centenary Public School Nabha organised its First Medical Health Checkup Camp in the senior wing of the school on January 19, 2019 under the kind and benevolent guidance of the school Principal Miss Meena Mehta.This medical camp was organised in association with an NGO Global Cancer Concern India. Dr Vinay Garg and Dr.Mrigander Sharma along with their team arrived from Ludhiana at 9:30 a.m. The Chief guests Mr. Gurpreet Singh (Preet Agro Combine Pvt. Ltd., Nabha) an old alumni of the school and Mr Jaspal Juneja, member of LMC were welcomed by the Principal and the staff members by presenting them bouquets.. In this medical camp, physical examination and tests upto rupees 1000 were done free of cost by the team of doctors. In this camp,all the parents of students were invited for physical health checkup. Even the staff members also had their health checkup.The objective of this medical camp was to raise health awareness among people. This medical Camp proved highly effective and successful as near about 150 people came here for health checkup and they got this facility free of cost. In the end,Principal Miss Meena Mehta explained the main motive of this health checkup camp. Generally people avoid to have health checkup due to the busy schedule. This was the easy platform where parents could approach easily for health checkup and they could be made aware with problems they are facing. She wished all should stay healthy and happy.